Find here the best Harpers Project coupons and promo codes. Harpers Project offers unique designer furniture utlizing the natural elements of the earth to customers around Australia. We believe that each piece has its own unique characteristics that can only come from handmade furniture. Proudly, our furniture is not mass produced in large factories. It is all delicately hand made by highly experienced carpenters. 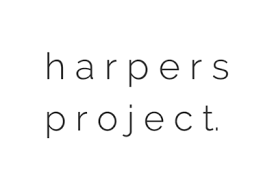 Harpers Project is a family owned business operating from Melbourne, Australia, shipping nationwide, in Australia, United States and Singapore. We love to connect you with our community and have asignificant social media presence, with over 100,000 followers on Facebook and Instagram combined. If you share our passion for handmade furniture that will stand the test of time, we are sure you will love our furniture. Use one of our Harpers Project coupons or promo codes and save money!